Today we celebrate the awesome power of God and how He saved Mary from being tarnished by the stain of sin so she could be made worthy to carry His Divine Son within her womb. They are so cool! Like it takes you through history and shows you what the Saints and Church Fathers wrote about our Blessed Mother! INCLUDING how most of them believed that she was free from sin. It’s not a new belief we made up recently. It’s not something that was unheard of or shot down in the Church at any point. It’s been a belief for thousands of years. “Also, could Jesus have been born from a sinful woman? No, I don’t think so. Mary is the new Ark of the Covenant. In the Old Testament the Ark of the Covenant was a gilded chest, commissioned by God, to carry the staff of Aaron, a jar of Manna, and the stone blocks on which the Ten Commandments were written. It was also the way God communicated with the people. In a way, the Ark contained the Spirit of the Lord. It was revered, shown reverence, and people celebrated it! If you think back to the Old Testament, there is a story of King David going to retrieve the Ark of the Covenant. (2 Samuel 6) The actual wording is, he arose and went. Why is that important? Take a look at what St. Luke says in his Gospel: Mary arose and went to visit Elizabeth. When Mary arrived, Elizabeth was in awe and filled with joy; much like David when he stood before the Ark. Elizabeth’s baby (John the Baptist) leapt for joy in his mother’s womb. Guess what David did? He danced and praised God with excitement before the Ark. And finally, Luke adds that Mary stayed with Elizabeth for three months. The Ark was temporarily stationed in the “House of Obededom” for a waiting period of three months. 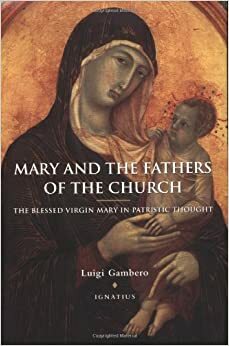 If you want to learn more about Mary and what the Catholic Church believes, get those books I mentioned earlier and don’t forget to read about it in chapter 7 of my book – How to Become a Heroic Catholic. Oops.. this was meant to go on the 1/1 post.